A new analysis by consumer watchdog Which? has revealed airlines are refusing to pay passengers compensation for their flight delays, cancellations, missed connections and being denied boarding. The regulator for the Civil Aviation Authority (CAA),ruled that over 50 per cent of cases handed over should be paid out by the airline. According to Which? the airlines are failing to comply. While the CAA can rule on a case, there is no power to enforce their decision which means the airlines can continue to refuse paying compensation. Under EU Regulation 261/2004, passengers can make a flight disruption claim if they experienced a flight delay, missed connection, cancelled flight, rerouting or were denied boarding. Passengers can claim for as much as 250 Euros for short haul flights and 600 Euros for long haul flights if the delay is over 3 hours. Norwegian told Which? that it takes customer care “very seriously and always maintains a consistent policy regarding delays and cancellations in accordance with EU261”. Easyjet said: “We take our responsibilities under EU261 seriously, comply with all regulations and have been commended by the CAA for our claim handling. We have also made improvements to our claims process since then making it quicker and easier to claim”. Emirates said: “As one of the world’s largest airlines, we comply with all legal requirements and regulations as set by the relevant authorities. 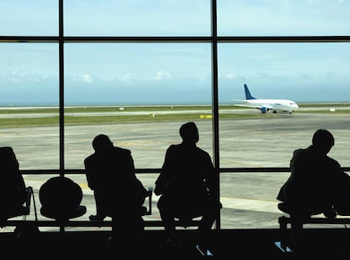 If youve had a flight delay, cancelled flight, been denied boarding, been rerouted or missed your connection with any of the above named airlines, you may struggle in claiming the compensation youre entitled to. Thats where Flight Delay Expert can help! We as a registered flight claims company can fight the case on your behalf and use our specialist legal team to issue legal proceedings against the airline if necessary all under a no win no fee guarantee! Enquire about your claim today and find out if youre eligible to claim back up to 600 euros per passenger in compensation for your flight delay, flight cancellation, missed connection, reroute or denied boarding! Call us on 0333 443 2180 or 0203 6349 743 today!